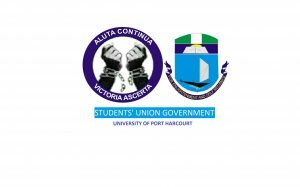 The University Senate at its 418th Meeting (Emergency) held on Monday, 11th April, 2016, deliberated extensively on the violent demonstration by the students and the resultant disruption of the First Semester Examinations of the 2015/2016 Session. Senate therefore resolved to close down the University with immediate effect. To this end, all students are to vacate the University campus immediately. No student is expected to be found in the University premises beyond 6.00pm today, Monday, 11th April, 2016.